Why do we need Liver Cleansing Foods? Before we look at liver cleansing foods you need to be aware that your liver at some stage may need some help. The shear amount of work that the liver has to contend with and the fact that most of us take it for granted that our liver and other organs are fine until we are told differently means, we are not aware that anything may be wrong until it is too late. You also need to take into account that liver disease very rarely has any symptoms in its initial stages. So at some stage your liver may need some help to keep it in tip top condition. This is where a liver cleanse comes into play. The liver is a very important part of your bodies filtering system. Your body is similar to a car engine; if the engine becomes worn and the various filters become clogged then the car will still drive but not very well. It’s ironic really but a large percentage of people look after their car better than they look after their body. A very popular liver cleanse also used by various celebrities is the Lemonade Cleanse. Liver cleansing foods can assist your livers functionality. Over the years we take various medications like Aspirin, cough medicines, prescription drugs for digestion, cholesterol, blood pressure and a whole host of other things. These combined with alcohol and non-nutritional foods give the liver a pounding. These are some signs that your liver may need some help. Discoloured or brittle finger nails. Bloodshot or yellow eye discolouration. Headaches on the top of the head. Depressive and irritable swings in behaviour. Skin rashes, eczema, psoriasis and acne. Whilst a healthy diet will go a long way to keeping your liver in shape you may want to give a little boost in the way of natural supplements and herbs. Liver cleansing foods and supplements that can help your liver. Milk thistle: This has got to be the most well-known supplement not just for liver health, but also kidney and gall bladder support. One of the most important natural ingredients in milk thistle is silymarin, a flavonoid with anti-inflammatory and antioxidant properties. This natural ingredient has been clinically shown to protect the liver from the negative effects of various toxins found in everyday medications and it also can help a great deal with alcoholic hepatitis and cirrhosis. Dandelion and chrysanthemum: The liver heats up when it has to deal with things like alcohol, toxins and stress. These two flowers possess a positive effect on cooling the liver. They can be taken in capsule form or tea, dandelion and chrysanthemum can actually reduce liver inflammation and stimulate the production of bile. and help detox the liver. Chai Hu Shu Gan Wan: This is Chinese herbal formula that is composed of seven different types of herbs that assist liver functionality. Supplements and liver cleansing foods. There are a variety of teas such as green tea and Tava tea that have natural antioxidants in them and having these daily can assist the liver. Milk thistle: Helps the liver effectively repair itself by replacing dead or damaged cells. Phosphatidylcholine: Supports the prevention of fatty liver and helps protect liver cells from hardening. Artichoke leaf: Boosts healthy bile secretion. Turmeric root: Helps remove dangerous toxins from the liver, helps with bile production and reduces inflammation. Burdock: This helps purify the blood by neutralizing the poisons that enter the liver. N-Acetyl-L-Cysteine (NAC): Aids with the protection of the liver from toxic chemicals and helps eliminate kidney stones. Alpha Lipoic Acid (ALA): Assists the body in increasing glutathione, a liver-supportive enzyme that neutralizes the effects of prescription medicines. Trimethylglycine (TMG): Supports liver functionality by reducing liver fat and abdominal pain. It also helps repair alcohol-induced liver damage. Dandelion root: This helps filter toxins from the liver and kidneys while increasing urine production. Olive leaf: Anti-infective that protects against viruses and bacteria. It also assists the normal function of the liver. 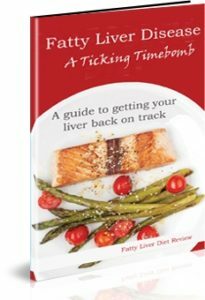 This entry was posted in Liver Cleanse and tagged fatty liver solution, fatty liver treatment, liver cleanse, liver cleansing foods on March 13, 2019 by .